So let me preface this post by saying that I’m not typically a perfume person. Smells that I like include: patchouli; slightly dirty hair; freshly cut wood; coffee; dirt; citrus; anise; and other very earthy / pure smells. 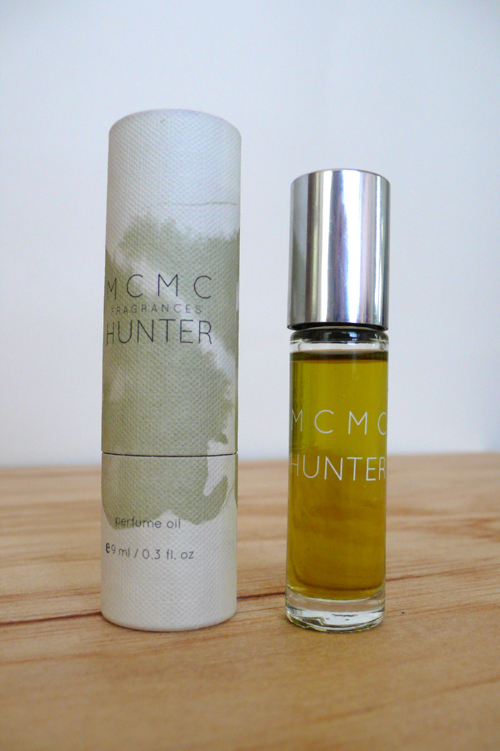 A few months ago I tried “Hunter” by MCMC at Broome Street General Store (one of my new favorites) in Silverlake and was surprised by how much I liked it. It smells like bourbon vanilla, tobacco, musk, balsam fir. It is just the right blend of masculine and feminine for me. I would maybe even wear it with a little patchouli, but haven’t tried it yet. Anyway, I finally took the plunge and bought it, after several times of going in to do a sample-and-wear-around test. MCMC’s perfumes are perfect for people who don’t want anything too perfume-y or powerful.